Halrath, can we keep this one as a trophy too? Ooh, very cool. I'd like dat! Cylon or no, who doesn't like to hear that! Can we bring back the dapper vampir hat too? It was obtained the exact same way. It always appear in this event! I'm pretty sure Enmasse will add it. 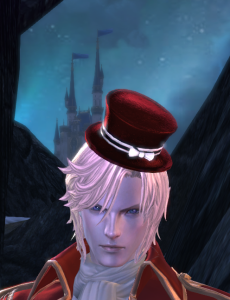 It happen every years since 2013 where I start Tera and always saw this and other hat.